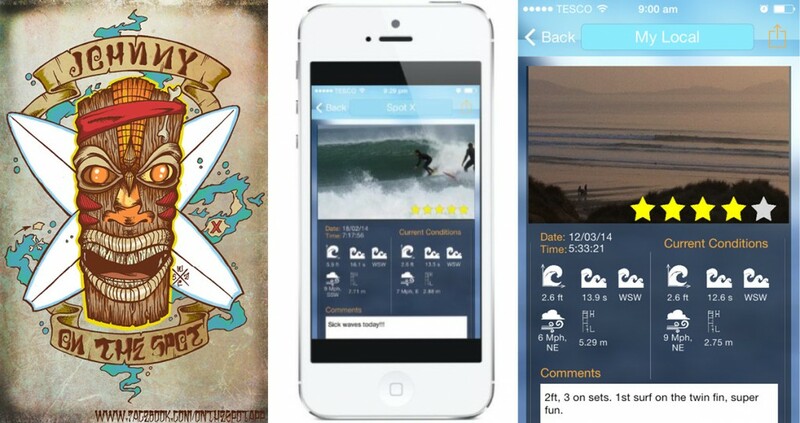 Home » Surf better » New surf app helps you find your perfect waves! You may remember my rant about why surf reports are rubbish from a few months back. My frustration that what the reporters think are good waves are not always what we think are good waves definitely resonated with lots of you. So imagine my excitement when someone gets in touch and says they may have solved the problem! Enter Ben Martin, who’s come up with a cracking idea to help us surfers remember all the important details of a great surf. You know the ones you think you’ll remember, swear you’ll write down and then completely forget by the time you get home. The ones that you wish you could remember when you check the surf report next time, so you can see how the conditions compare to those great waves. Well Ben’s developed an app that does it all for you, and it’s nearly ready to launch. They’ve got a Kickstarter campaign going to help them get it ready for launch, we’re pretty excited, have a read and let us know what you think. Think about the last time you had a really good surf. You know the one, where everything seemed to line up right. The waves were the perfect size, breaking just how you like them and there weren’t even too many people around. Most of us can remember days like this, but not all of us can remember the exact conditions that made it happen. The tide, the swell height and period, the wind… there are an awful lot of variables that go into creating your perfect surf. Well, we’ve developed a new app that’s about to launch that makes remembering these conditions easy, meaning you’ll never miss one of those perfect sessions again! I came up with the idea for ‘Johnny on the Spot’ after having a particularly good session at a little surfed spot in my now home of Wales. As fortune would have it I had agreed to attend a business pitching event the following weekend. Much to my surprise the idea won, and four months and a lot of late nights later, Johnny on the Spot is about to launch! To use the app, surfers take a picture of the waves and live swell, tide and wind data is stamped onto the image. 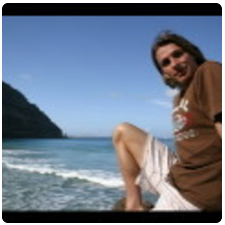 You can rate the images to remind yourself how good it was, and add comments like who you surfed with or what board you rode. The app also acts as a spot guide, because when you look at old images it automatically brings up the current conditions for that spot alongside the data you stored, making it easy to compare conditions. We’ve been testing the app for a few months now, and what I really like about it is the way you start to notice the differences that a tiny shift in variables makes. Even after just a couple of months I’ve found I’m able to make much better decisions about where and when to go surfing, as I’ve built up a fairly extensive database of my local coastline. Of course, it’s great to be able to find good waves more often, but I’ve also appreciated knowing when it’s not going to be worth it too and I can save the petrol money! Because the rating system is personal it’s much more reliable than a forecast model telling you that today is 10/10, because that doesn’t account for surfers’ preferences and abilities. Future versions will include an alerts feature, telling you when your personal top rated conditions are going to happen and where. 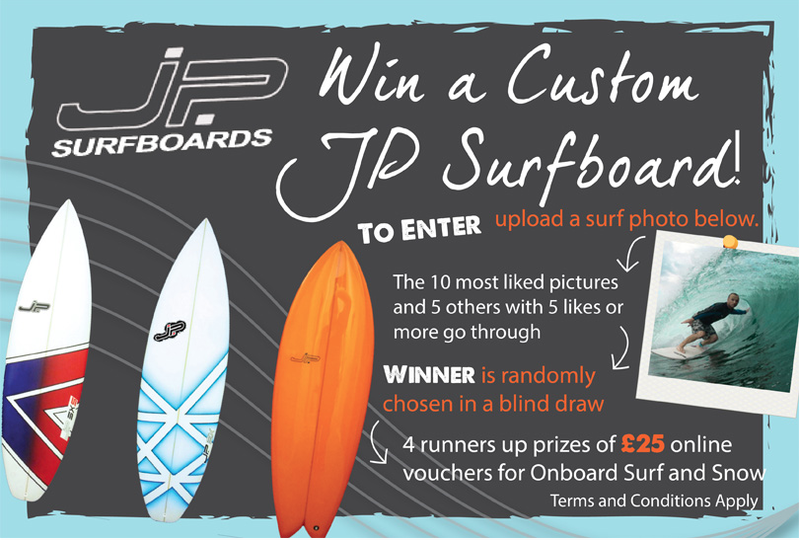 To celebrate the launch, we’re also giving away a custom made surfboard by legendary Welsh shaper JP! One photo and 5 votes from your friends is all you need to be in with a chance, and you can check it out here. Sounds pretty cool huh? Let us know what you think in the comments below and if you’re keen to get in on it early, head on over to Kickstarter to show your support now!